Well, this is awkward. Earth's relationship with the moon is no longer a monogamous one. Scientists have identified a second, mini-moon orbiting our planet that has probably only been around for about 100 years, reports NASA. 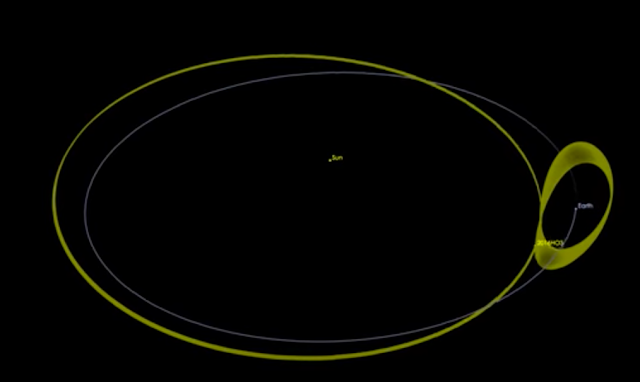 This second moon looks to be a recently captured asteroid, and like a mistress, its subtle dance with Earth may be fleeting, only sticking around for a few centuries. Still, it's a remarkable event that proves just how dynamic our gravitational relationship is with near-Earth objects. I wonder if the moon has much affect on the asteroid.